President Donald Trump's name is removed from the marquee outside the Trump Ocean Club International Hotel and Tower in Panama City, Panama. Workers pried President Donald Trump's name from signs outside his family company's luxury hotel in Panama on Monday, as Trump's executives were ousted from their management offices in a business dispute under orders from Panamanian officials. Trump's security guards also left. The end to a 12-day standoff over control of the property came early in the day when a Panamanian judicial official and police officers backed the hotel's majority owner, Orestes Fintiklis, as he took possession of the offices. The Trump-affiliated management and security officials then left the 70-story, waterfront high-rise. "This was purely a commercial dispute that just spun out of control," said Fintiklis, a Miami-based private equity investor and head of the hotel owners' association. "And today this dispute has been settled by the authorities and the judges of this country." The episode was a rare occasion when a foreign government has stood up against the operations of one of Trump's family businesses, and it was unclear whether Trump might consider retaliating diplomatically. The Panamanian Embassy in Washington did not immediately respond to a request for comment. U.S. government officials referred questions to the Trump Organization, which did not respond to phone messages and emails requesting comment. A Panamanian judicial official told The Associated Press a statement would come later in the day. The Trump Hotel's website had ceased offering direct bookings at the hotel by early Monday afternoon. "We apologize," the site said. "There are no available rooms for your requested stay." The judicial intervention resolved the most contentious part of the dispute between Trump's hotel business and Fintiklis, who sought to take physical control of the property on behalf of the hotel owners. Though the owners tried to fire Trump's company last year, the Trump Organization had disputed the termination as legally invalid. As part of his fire sale purchase of 202 of the hotel's 369 units, Fintiklis signed a February 2017 agreement not to challenge Trump's management contract — a deal the Trump Organization considers binding. Fintiklis quickly changed course after the deal closed in August, arguing that alleged mismanagement by Trump's staff and the deterioration of the Trump brand rendered keeping the property in Trump hands impossible. In late December, Trump's management team ran off a team of Marriott hotel executives visiting the property at Fintiklis' invitation. "Our investment has no future so long as the hotel is managed by an incompetent operator whose brand has been tarnished beyond repair," Orestes wrote to his fellow hotel owners in a January email obtained by the AP. The most recent and intense feuding began Feb. 22, when Fintiklis came to the property with termination notices for Trump's management team. Trump hotel officials turned away Fintiklis and his entourage, refusing to let him check into any of his private equity fund's 202 hotel rooms. A legal complaint filed by Fintiklis said that, late that same evening, he and others in his party witnessed Trump's management team destroying hotel documents, which Trump officials have denied. For more than a week, Trump's hotel business staved off efforts by Fintiklis and his allies to gain control of the property, with rival security teams skirmishing over physical control of key infrastructure. That included the administrative offices and the hotel's closed caption security system, which was housed in the condo association within the same building. Grainy footage of the encounter obtained by the AP shows Trump security officials shoving a representative of the condo owners' association and a brawl in a stairwell between opposing security guards. Initially invited by Trump's managers, the Panamanian police repeatedly visited the hotel to keep the peace. At least one Trump security official was taken off the property in handcuffs, though a police source told the AP he was not arrested. Trump officials denounced Fintiklis' efforts to take control of the property as "thug-like, mob-style tactics" and pledged in a February statement they would not give in to "bullying and the use of force." 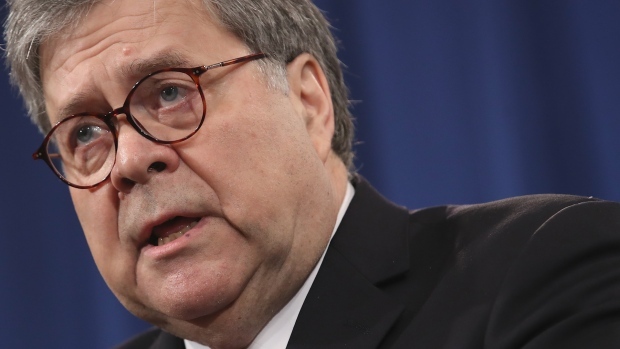 Until litigation and arbitration involving the property was concluded, Trump officials said, they had no intention of leaving. While Trump staffed up with additional security — stationing guards at the hotel's administrative offices for more than one week — the fight for physical control of the hotel ended quietly with the intervention by Panamanian authorities. Trump security officials exited the property on their own accord, leaving the hotel's administrative office vacant. "Today Panama has made us proud," Fintiklis said, adding that he intended to apply for Panamanian citizenship. Though Fintiklis has generally declined to comment on the dispute, he appeared to gloat Monday. Sitting at the piano in the hotel's lobby, surrounded by reporters and news cameras, he played "Accordeon," a Greek song celebrating that country's fight to overthrow a fascist regime.